Don Boxley Jr is a DH2i co-founder and CEO. Prior to DH2i, Don held senior marketing roles at Hewlett-Packard where he was instrumental in sales and marketing strategies that resulted in significant revenue growth in the scale-out NAS business. Don spent more than 20 years in management positions for leading technology companies, including Hewlett-Packard, CoCreate Software, Iomega, TapeWorks Data Storage Systems and Colorado Memory Systems. Don earned his MBA from the Johnson School of Management, Cornell University. 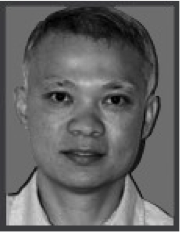 Thanh “OJ” Ngo is a co-founder of DH2i Company and is the principal architect for its core technology. OJ is a veteran technologist with over twenty years of experience in software design and development. Prior to DH2i, OJ was a software architect for Hewlett-Packard working on Windows software solutions. OJ was a software architect at PolyServe Inc., where he was responsible for the design of the Solution Pack for Microsoft SQL Server. OJ was a Microsoft SQL Server MVP 2002-2008. OJ earned his degree in chemical engineering from Oregon State University.